Alan Nuttall: Bambridge – Wensleydale. Screenprint. c. 1960. 55 x 78cms (c.22 x 51 inches). Titled & signed in pencil and numbered Artist’s Proof/10. Two 5cm tears & one 3cm tear in the margins, with small loss at one tear on top edge. Category: Miscellaneous. 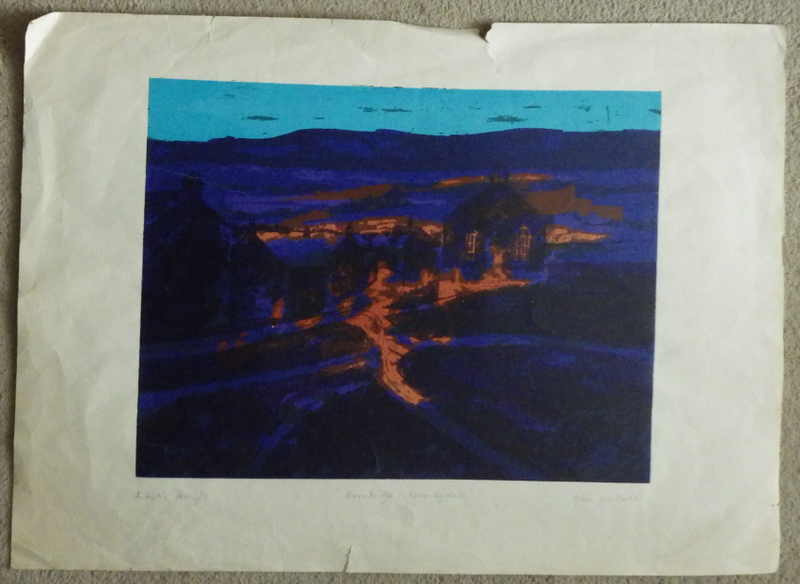 Tags: Alan Nuttall Bambridge Wensleydale print, Alan Nuttall screenprint.